Tokyo Tokyo Red Iced Tea Day! Mark your calendars! 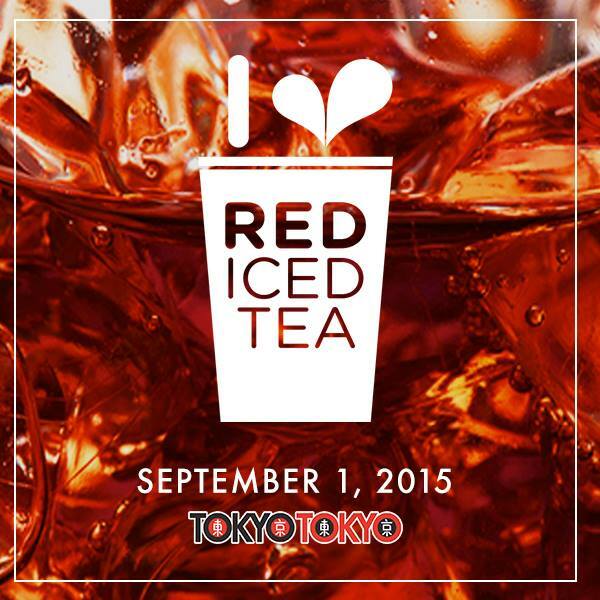 September 1 is Red Iced Tea day at Tokyo Tokyo! Get the Super Sumo Red Iced Tea for only P20.00 and save Php 49 on your favorite Red Iced Tea! Valid at all Tokyo Tokyo branches on this special day and share your love for Red Iced Tea! And guess what Tokyo Tokyo is doing a countdown to Red Iced Tea Day on September 1 with a giant dispenser of Super Sumo Red Iced Tea at The Piazza at Venice, McKinley! 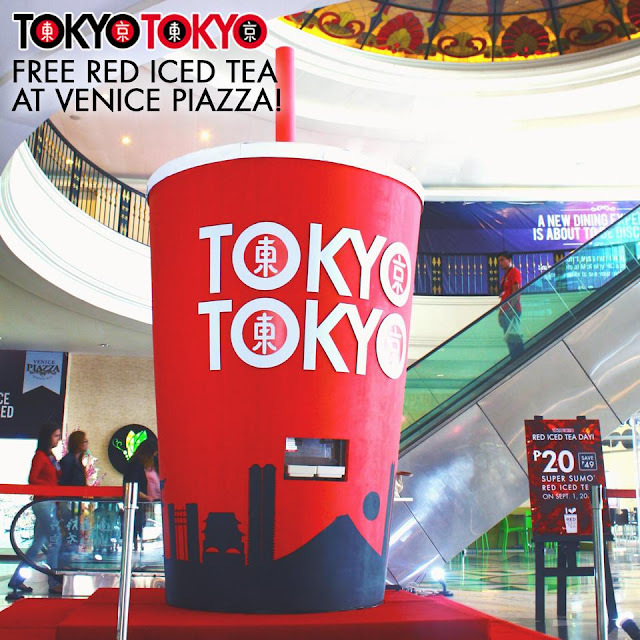 Get your FREE glass of Red Iced Tea at their giant dispenser, take a selfie with your drink, and tag them on Twitter (@tokyotokyoPHL) and Instagram (@tokyotokyophilippines) using #iloveredicedtea to get special treats from Tokyo Tokyo Philippines! A Super Coffee Experience + A Super Giveaway!! !